John Armor Bingham was born January 21, 1815, at Mercer, Pennsylvania. He attended Franklin College and pursued legal studies before establishing a successful legal practice in Cadiz in 1840. 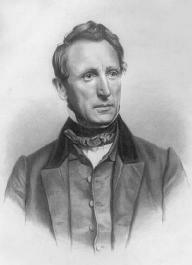 In 1854, Bingham became an Ohio representative to Congress, serving until 1873, with the exception of one session in 1864. In 1864, he became Judge Advocate and, subsequently, solicitor of the court of claims. After his congressional tenure, he was minister to Japan until 1885. "It is clearly the right of the Republic to live and to defend its life … [just] as it is the right of the individual to live so long as God gives him life." Bingham gained fame for his participation in three significant historical events. He presided as special judge advocate at the proceedings against the assassins of Abraham Lincoln; he delivered the closing speech at the Impeachment trial of President Andrew Johnson; and he was instrumental in shaping the Privileges and Immunities Clause added to the Fourteenth Amendment. In the last-mentioned endeavor Bingham worked with Senators Thaddeus Stevens of Pennsylvania, Jacob Howard of Michigan, and Lyman Trumbull of Illinois. The clause prohibited a state from abridging the Privileges and Immunities guaranteed to a citizen of the United States. Bingham died March 19, 1900, in Cadiz, Ohio.